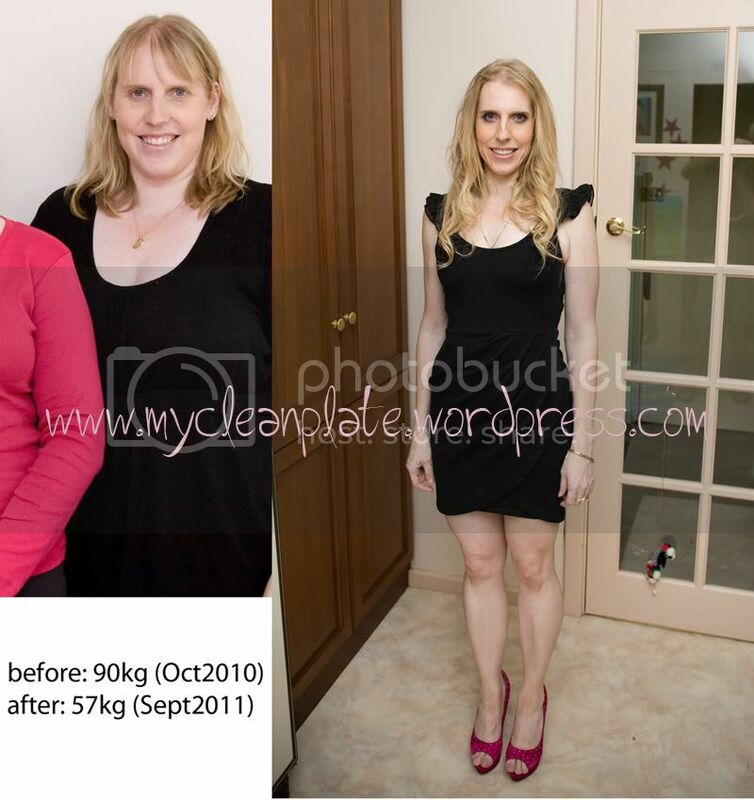 I am so excited to share this with you all, my best sweet treat ever!!! So I love all things sweet and cute, like cupcakes, cake pops, cookies macarons all naughty naughty stuff and not falling under the ‘clean eating’ category. Last night while I was at the movies at the park with my kids I had a vision. 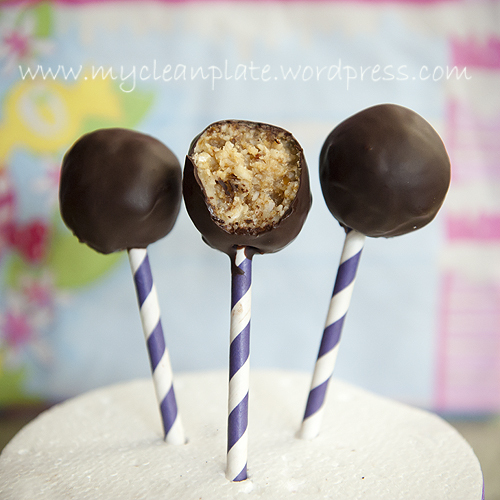 A clean eating cake pop style treat. So we got home about 11pm and what was I doing, I was in the kitchen doing a trial run and yahooooooooo huge success! OMG these are seriously the best clean eating treats ever and the cutest!!!!! I just left these plain but you can coat in coconut or more crushed nuts. You will eat these thinking you are being so naughty when you are absolutely not!!! The nutty ‘cookie dough’ is simply similar to the crust of the lemon cheesecake!!! You will need the cake pop sticks (I used left over fancy paper straws as I didnt have any cake pop sticks left over from my daughters party. I reckon you can make about 8 pops. In a food processor blitz all ingredients until small chunks, add water if needed and blitz to make a sticky, workable dough. If you add too much water just add almond meal or coconut flour. Roll heaped tablespoon fulls of the mixture into balls and place on a tray lined with grease proof paper and put in the freezer for about 30 minutes to firm up a little. Melt the chocolate in the microwave. Take the balls out the freezer and dip the pop stick about 1cm in the melted chocolate and gently push into the cookie dough ball. Repeat with them all and place back into the freezer for another 30 minutes or until chocolate is set (make sure its set as it will fall off). Take out the freezer and in a tallish cup (you want the chocolate to be higher up to make it easier to dip if that makes sense. Tilt cup full of chocolate on a slight angle and dip and turn your nutty cookie dough pop until coated. Hold over the cup to let remaining chocoalte drip off or gently tap on the side of cup. Wait about a minute and then place either stick up on grease proof paper or stick into polystyrene to hold upright into place (which is what I used in the images you see). Repeat with them all and place in the freezer or fridge to set. Store in the fridge. Now to vary this you can add protein powder to change flavour, like adding cookie dough protein powder for a more authentic cookie dough flavour. Or coat in coconut after chocolate dipping or extra nuts. 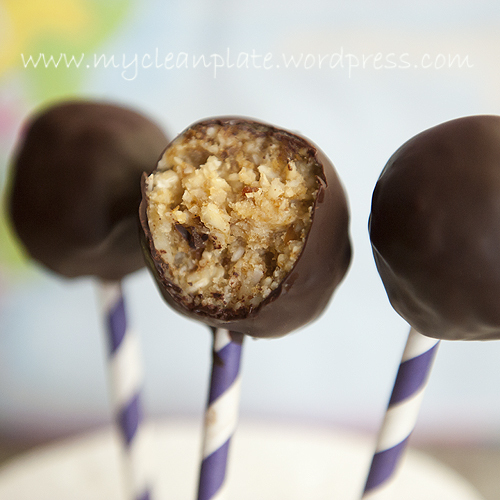 Seriously guys this is amazing, I was being fancy putting them on a stick, if you dont have sticks just roll into balls and dip in chocolate, still tastes amazing! You guys must try it. Soooooooooo good!